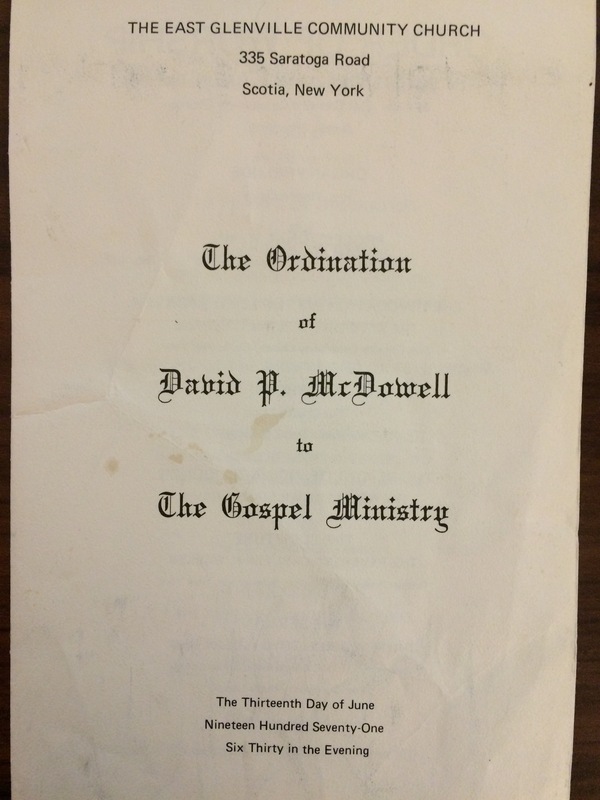 Today is the 45th Anniversary of my ordination; when a 24 yr old inexperienced seminary grad was set aside for the gospel ministry by the laying on of hands by faithful men. Gloria and I were married 2 weeks later and then started as the Associate Pastor of the Bethlehem Community Church- 2 weeks later. I had the privilege of working under Pastor Art Gay and being mentored in ministry by this faithful man. Yesterday, I also had the special privilege of being a part of the 50th Anniversary celebration of Bethlehem Community Church, Delmar, NY and saw some very special friends. My life-ministry verse is and has been 1 Thess 5:20, “Faithful is he who has called you who will also do it.” Praise God for his faithfulness and I thank him for a faithful life-time partner in ministry, my wife Gloria. Please pray that we would continue to be faithful to our faithful God until he calls us home.